Mr. Superstar was the subject of the email we received from new owner Rachel Van Allen about our 2005 gelding Caby’s (Caletino x Tjinja) first show. Caby was sold to the Van Allen’s and began hunter/jumper training with Darci Bayney of Zona Farms in January of 2011. Rachel has sent us many email updates regarding Caby’s progress and their many “firsts” together. 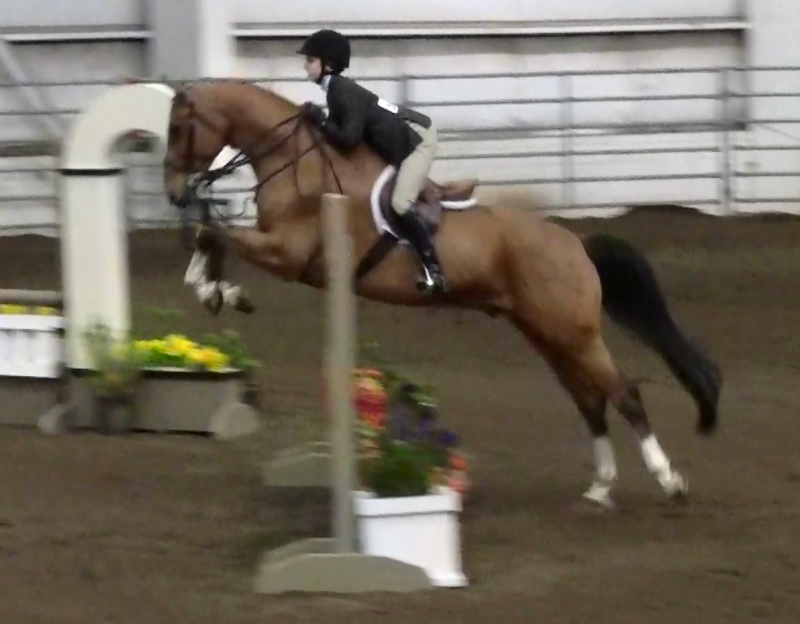 The Mother’s Day Classic in Eugene, Oregon was Caby’s first-ever horse show and their first show together as a pair. Since day one, Caby was the type of horse that took to new things very easily, so we were not surprised when Rachel told us how well he did at his first show. Rachel and Caby, who now shows as “Basilio,” make a perfect match and he was born loving to jump as much as his sire, so we can’t wait to see them out at the shows again, too.